For some reason, I have it in my head that I am going to the Tuscan hills of Italy in the near future. I think and breathe it everyday!! I don’t speak the language but it is one of those things that once you get an idea in your head you just have to go with it. So today, I’m writing about why I want to visit this part of Italy! I have to admit that since I watched the movie “Under the Tuscan Sun” many years ago, I have wanted to be the main character in the movie. “Francis,” a writer, has just experienced a divorce and has lost all hope in life. As she copes with depression, her best friend offers her a chance to go on a gay tour of Tuscany to try to steer her in the direction of happiness. Francis reluctantly goes but is quite inspired by the scenery and the local people. One day, as she’s browsing around the town of Cortona, she is confronted by a local who inspires her to buy a villa. She goes through many challenges of renovating her house while at the same time writing a novel. She pursues a dream she doesn’t even know she had. And she makes it with only a few bumps and bruises. Including a new romance that catches her by surprise. Now who wouldn’t want to go to Italy, buy a villa, write a book and find a new love? I suppose it is a far-fetched dream but I have learned that no matter what it is you want, you can attain it and sustain it. I am researching this dream of Francis’. I want to make it my own dream. I’m not sure that I want to buy a villa but a friend suggested I babysit a house for somebody over there. I googled it and there are quite a few websites you can apply for such a luxury. You don’t make any money but you have no expenses. I thought maybe being a waitress could provide my groceries and I could write when I’m not traveling the countryside.. But then again, I’m not fluent in the language. Hmmm…I’m not going to use that as a barrier. I can learn enough of Italian to get me through? Dolce vita!! 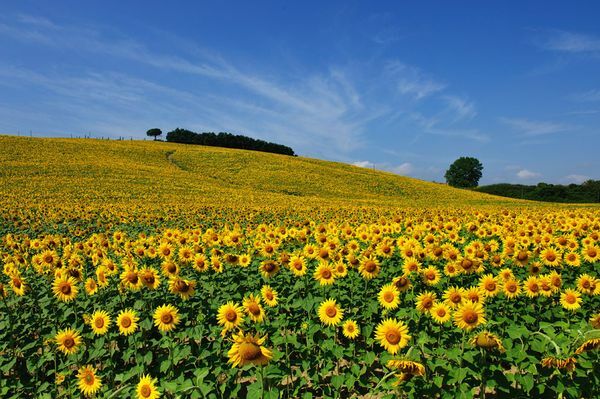 What draws me to this location the most is the scenery of the old abbeys and churches with the clay roofs, beautiful fields of grapes and sunflowers, and the divine ocean with its beaches and cliffs. There are the eerie trees that literally grow straight up and sway with the wind as if they are talking to each other. Olive orchards bask in the sunshine and the rolling green hills are endless. 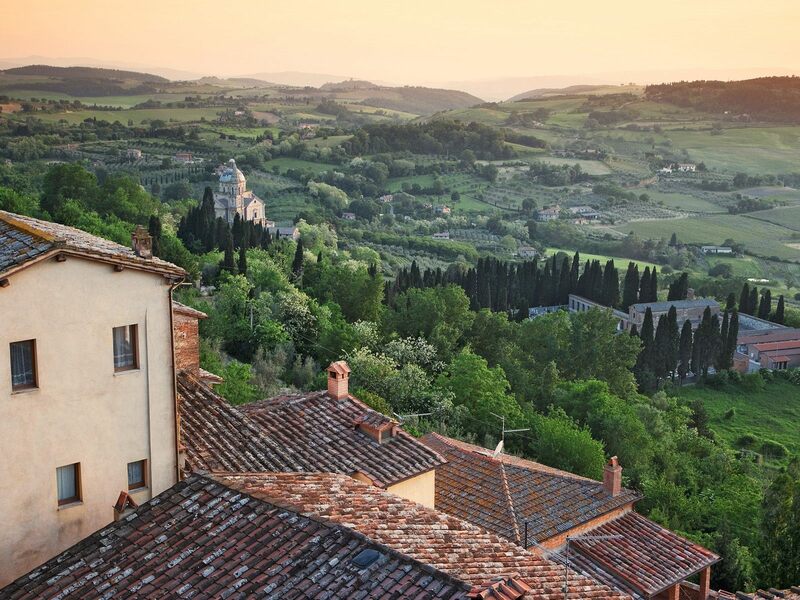 The Provence of Tuscany has so much diversity that you could spend a whole year learning the rich history and see the exquisite landscapes. And you can’t forget Florence…historic in every way!! I would have to say that with all that would be at my fingertips in Tuscany, I can feel the inner peace that is waiting for me. I could use this time to not only write and blog about the area but to work on a novel. I want to get to know the people and what it is that keeps the past running forward. When I get to Italy, I will dance under the Tuscan sun!! Hi T, it’s Sibyl from Minnesota. I am right there girlfriend…to Tuscany. Let me know when the plane flies. It was great to see everyone and was great fun at Kelly and Bret’s place. I will check your blog to see what’s going on. Takes me awhile to figure out technology..lol. Hope all is well!